This is a series of monthly, casual, and fun wine tasting classes taught by our winemaker Ben Stuart. 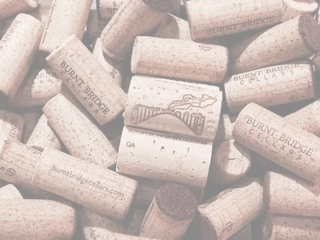 Ben will dive into the rhyme and reason behind making different wines at Burnt Bridge Cellars. He’ll talk about things like balance, fact vs. fiction in wine descriptors, what environmental factors play a role in how a wine tastes, what he's looking to avoid, some of the fancy science names of certain flavors, and how to swirl, sniff and spit like a pro. Class is all about comparing wines, either as a blend or a single varietal from various regions of the world in a group blind tasting. Class members vote for and rank the wines individually and as a whole class, based only on their sensory perception of each wine, with the label and price only revealed by Ben at the end. You may be surprised by what you’ll learn.